Former Alaska Airlines executive Gary Beck is the new CEO of Horizon Air. Constance von Muehlen, another Alaska Airlines executive, becomes Horizon’s COO. Separately, Alaska Air executive VP Andrew Harrison laid out a series of investments in the airline’s passenger amenities. 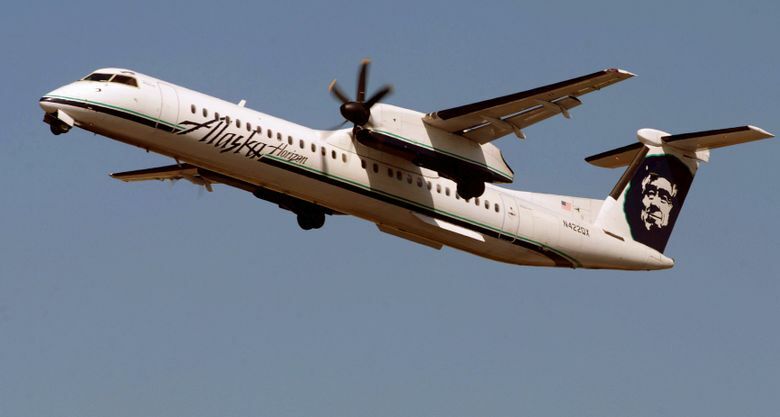 Former Alaska Air executive Gary Beck will come out of retirement to take over as CEO at its regional carrier Horizon Air, the company announced Wednesday. Constance von Muehlen, another Alaska Airlines executive, was appointed Horizon’s chief operating officer. Beck replaces Dave Campbell, who announced his resignation in December after a troubled year at Horizon. Low pilot pay had created a pilot shortage so severe that Horizon had to cancel hundreds of flights. Its flight schedule was cut from an average of 360 flights per day a year ago to 295 flights per day last month. Recruiting and training about 400 new pilots this year will have to be a priority for the new leadership. They’ll also oversee the resumption of deliveries of Embraer E175 regional jets for the airline, scheduled for March. Last year, in retirement, he worked as consultant to Alaska Air on the project to get a single flight certificate for the airline with Virgin America, following the acquisition of that San Francisco-based carrier. “I believe our Horizon Air colleagues will really enjoy working with him as he leads Horizon into the next era,” he said. Von Muehlen, a former Black Hawk helicopter pilot for the Army, was most recently managing director of airframe, engine and component maintenance repair and overhaul at Alaska. Last year, she led the integration of Virgin America’s and Alaska’s maintenance operations. Separately, Alaska Air’s chief commercial officer Andrew Harrison sent a memo to all staff Wednesday pushing back against comments by some employees in a Seattle Times story on Sunday. In that story, employees spoke of their unhappiness with a drive to control costs, also cited in internal documents obtained by the Times, and voiced concern that it threatened to undermine Alaska’s reputation for high-end service. The cost-containment moves ranged from a pilot contract that set pay below that of the major U.S. carriers to smaller initiatives such as a plan to stop serving cookies on flights after 10 a.m., a move that was abandoned when flight attendants protested. In Harrison’s note, obtained by The Seattle Times, he insisted that while the airline is certainly pushing to contain costs in some areas, it is at the same time investing heavily in improved amenities in areas that matter more to passengers. “There is simply no truth to the suggestion that we have reduced our investments in our customers or our onboard experience,” Harrison wrote. • An $11 million investment last year to provide free movies, TV and texting on flights. • A $100 million investment in new seats with power outlets and larger overhead bins. • Additional legroom in its Premium Class and First Class seats. • A free checked bag for passengers who have the Alaska credit card. • $25 million to install satellite Wi-Fi on all its mainline jets by 2020. • Upgrades to onboard menus later this year. • $30 million to improve and expand the Alaska lounge in New York’s JFK airport and a new lounge at Seattle-Tacoma International airport opening next year.